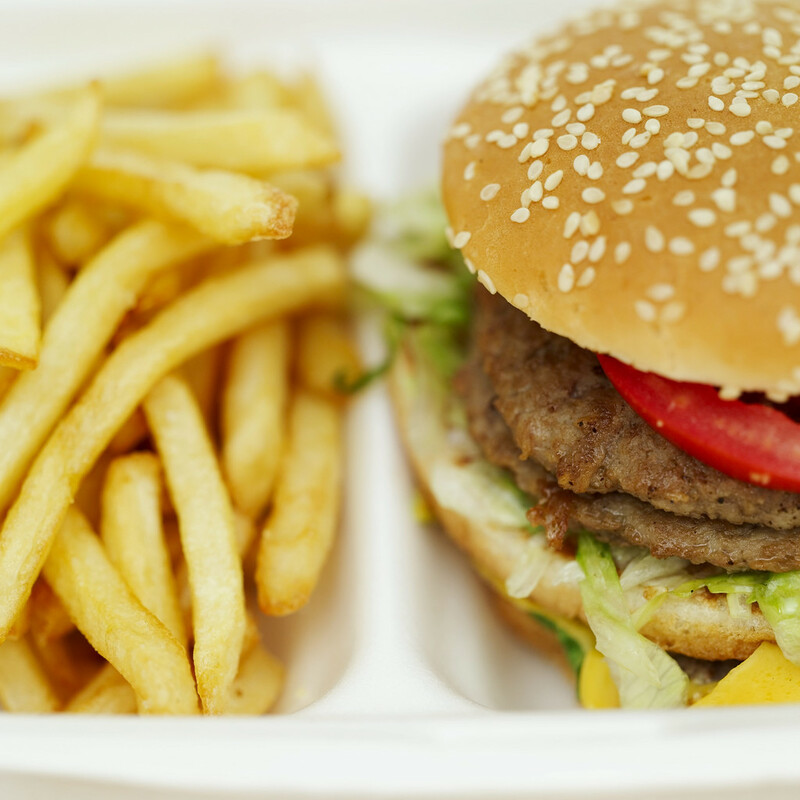 We are a fast food nation – the home cooked meals of the past are sadly becoming history. Over scheduling and modern day stress has led to many people needing a quick meal when they are on the go. That is why on any given day, more than 25 percent of Americans will eat fast food. Even more alarming is that more money is spent yearly on fast food than higher education – over $110 billion to be exact. With these statistics being so lofty, the question comes to mind, how do you continue to travel down the natural path to health and still live in our fast food nation? Choose: Papa John’s (no trans-fat, MSG or meat fillers) stick to thin crust with lots of veggies and a hint of cheese. Choose: Chipotle – Their slogan is “food with integrity.” Meats are naturally raised without antibiotics or hormones. There are no trans-fats, sugar, artificial flavors or colors, eggs or peanuts in any of their products. Remember portion control is the key here. Choose: Jimmy John’s (fresh ingredients and fewer additives) try an “unwich”. Skip: All of them! (McDonald’s, Burger King, Hardees, Culvers…etc.) If you are in a pinch and decide to eat at any of the above, please choose a salad with dressing on the side. Being prepared by packing a lunch and extra snacks is an ideal way to travel down the natural path to health. However when choices are limited, consider the information above to ensure good health. Schlosser, Eric. Fast Food Nation. New York: Houghton Mifflin Company, 2001.